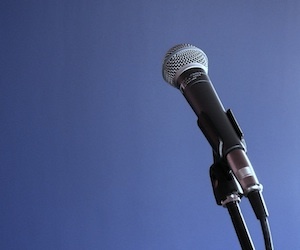 Public speaking has become increasingly important in the newly-digitized world. We believe that in-person, dynamic speakers are one of the best mechanisms to educate and drive consensus. Foskett Services serves as a speaker bureau, drawing from our network of independent IT experts to provide top-rated content. Foskett Services has provided keynote speakers for IT conferences and user group meetings. Stephen Foskett, Tom Hollingsworth, and many others in our network have years of experience delivering entertaining and educational keynote and break-out addresses. Out of the Lab and Into the Datacenter: Which Technologies are Ready? Top-ranked speakers and educators like Stephen Foskett and Tom Hollingsworth provide on-site seminars to help groups of any size get up to speed on the latest information technology topics. These sessions typically last from one to three hours and are tailored to the needs of the audience.